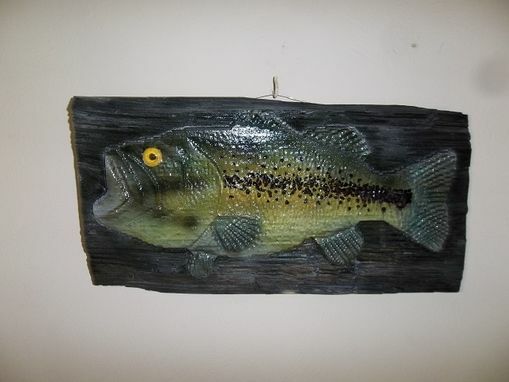 16" Bass on a rustic board, Hand carved and painted. great Decor for the Lodge, Cbin, Den, or Cottage. We can do this from any picture provided so you can remember the big one without costing you a fortune.